Finally, the football fan is about to enjoy a full schedule of football games. It may be only the preseason, but it’s still football. Football fans will be more than happy to watch and wager on the first week. The handicappers are looking over the betting tips and the current odds and now it is time to try and pick some winners. We already covered the Saints vs Jaguars, but we have other 2018 NFL week 1 preseason picks that we want to cover.If you are learning how to bet on the NFL preseason or you just want free picks, we got you covered. Where are you betting on the NFL this year? 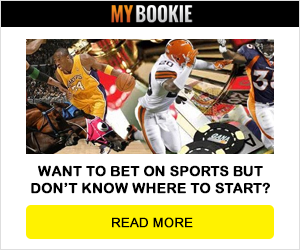 Make sure that you have a quality sportsbook that is loaded with great bonuses! We have listed the best bonuses from all of the high class sportsbooks. One of those sportsbooks is MyBookie that has an incredible 100% bonus to bet on the NFL preseason. Open an account now, get the bonus and win money betting on football this year! This is a great match because of location and the fact that the Eagles won the Super Bowl a year ago. The coaching trends don’t look good for this game, but the Eagles have no motivation to win this game. Carson Wentz is still sitting out drills and Nick Foles has missed practices leading up to this game. That means that Nate Sudfeld and Joe Callahan will get the majority of the snaps according to the depth chart. We had our eye on this game ever since they released the odds. Expectations are high in Raider Nation as Jon Gruden takes over the helm. That includes the preseason. The Raiders have a ton going off the field. They want Donald Penn to take a pay cut and the latest rumors suggest that they may trade Kahlil Mack, if the price is right. The Raiders have a ton of work to do and they want to start the season off with a win, even in the preseason. Jon Gruden has not coached in a while but he is 8-0 straight up in the first game of the preseason in his career. Lions rookie head coach Matt Patricia already showed some concerns about the information that he gave Gruden when he worked in the TV booth and he thinks that will give the Raiders the edge. In joint practices between these two teams the Lions offensive line was abused. The Raiders depth chart is solid at QB with EJ Manuel, an experienced NFL starter, taking the last turn in the rotation. Gruden wants to get the fan base excited and a win, even in preseason, will do just that. Sure it’s the preseason, but the story line in the Vikings vs Broncos is all about Case Keenum facing his former club. Mike Zimmer said that it will be “great” to play against Keenum, but played it off. It’s actually the Broncos who could care less about this game. One of our five tips to betting on the preseason, included listening to the coaches. They don’t mince words in the preseason. Zimmer loves to win the preseason. He is a perfect 5-0 in the first preseason game of the year and he is 14-3 in the last four years. He wants to show the fans that the Vikings picked the right QB in Kirk Cousins. Don’t be surprised if he goes deep early to show off that arm. The Vikings have been money makers at the betting window (42-19 ATS in the last 61 games overall) and that won’t change in this game. Do you like free football picks and great football contests? We got both all year long. Here is how you get free football picks all year long and your chance to join a NFL preseason contest and a NFL survivor contest! Get ready for a great football season!